welcome to #37 of hedgerow! if you haven’t already done so, please have a look at the new ‘poetry & art book reviews’ (https://hedgerowpoems.wordpress.com/poetry-art-book-reviews/). new titles will be added shortly! thank you for being here & happy friday! Joy Reed MacVane lives on the New Hampshire seacoast and hides out in the summer on an island off the Maine coast. Alexis Rotella is a well known poet of Japanese forms in English who has been writing since the early 80’s. In the spring of this year, Red Moon Press published her latest book of haiku called BETWEEN WAVES. As a digital artist, Alexis is now working on editing the portraits of celebrities such as Obama, Robert Redford, Steven Tyler, Mick Jagger, the Beatles, and many others. A selection of her haiga appeared in April at danmurano.com thanks to poet and critic, Grace Cavalieri. You are safe to grow again”. Stacey Crawford Murphy savors life in Ithaca, NY. Lew Caccia serves as a professor at Walsh University, where he teaches courses in composition, rhetoric, professional writing, and literacy. He earned his Ph.D. at Kent State University. His recent poetry has appeared in The Storyteller, The Shepherd, The Write Place At the Write Time, and The Penwood Review. This summer, he will present at the Council of Writing Program Administrators Conference in Boise, Idaho. After the conference, he looks forward to a hike somewhere in the Rockies. dreams of birding . . .
the hour glass . . .
Duncan Richardson is a writer of fiction, poetry and haiku. He teaches English as a Second Language part-time in Brisbane, Australia. Vibeke Laier is a artist and dreamer who lives in Randers, Denmark. She began writing three years ago and likes the process of capturing moments of the day in small sentences and micro poems… it is a way to be open to the magic. 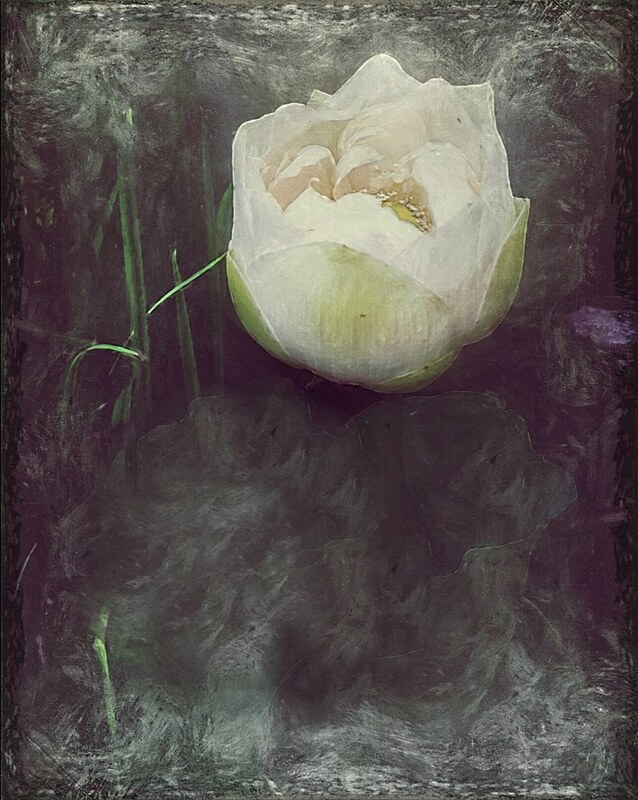 This entry was posted in Uncategorized and tagged art, artwork, beauty, birds, blossom, digital art, gratitude, haiku, hedgerow poems, inspiration, lotus, love, micropoetry shortform poetry, nature, poetry jornal, small poems, tanka by Caroline Skanne. Bookmark the permalink. Fresh off the press…just published in the new issue of Hedgerow …enjoy! Reading all these makes a fellow want to take up writing again. A true delight to have read this issue. Strong pieces, great work, lovely voices!